The principles of Feng shui are said to play a dominant role in the placement of the door of the house as it is considered 'the mouth of the chi' or the route by which positive vibes enter the house. Check out how you can enhance various aspects of your life by correct placement of your desk and its layout. When applying Feng shui to your home, don't give the short change to your bathroom. Find out how you can use Feng shui crystals to best advantage. The ideal feng shui bathroom would be the one that is located away from the front door, dining room, kitchen and living room. Ensure to delineate the toilet area from the bath area. Good ventilation coupled with plants can create a relaxed atmosphere. Use soft colors instead of sharp ones. Some essential of Feng shui bathrooms merely adhere to common rules of good housekeeping. Avoid dripping taps and keep the bathroom and toilet spotlessly clean. Do not place a mirror to reflect the toilet. Keep bathroom doors closed. Wrongly placed bathrooms may drain away Chi instead of allowing it to pervade around the house. A centrally located bathroom is also to be avoided. Do not locate bathrooms under the stairs or directly above the kitchen or main door of the house. After all you begin your day in the bathroom and it surely could do with good vibes. Be it the desk at your office or the one in the reading room, applying feng shui principles on the same activates the positive energy sector of the place. The desk size, location, and style are critical. Ideal location for the desk is southwest or south, the direction of positive energy related to one's career. Remember, there should not be a wall or partition in front of you when you sit on the desk. Left side is your health area. Place the out-tray here. Right side is ideal to place the in-tray in this wealth enrichment area. Right-hand edge - Reference books can be kept in this wisdom area. 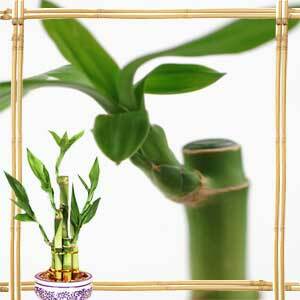 Southeast - A small green plant to add fortune to your career. Feng shui crystal is a great energy conductor and is often used to balance the elements and chi in a space. Adding crystals to your living space or an office will encourage the free flow of energy, the absence of which might affect health, thought and abundance of wealth. Usage of feng shui crystals is based on its color and shape. For instance, a feng shui quartz crystal is used to amplify a person's thoughts and feelings, while a rose quartz crystal is used to attract love and romance. Listed below are few feng shui crystal and their characteristics. Feng Shui Crystal Balls: These faceted crystal balls are known for their healing qualities and are used as different kinds of cure. When kept in a sunlight area, these balls emanate rainbow colors which are believed to bring vitality and balance in that given space. Apart from blessings and balance, Feng Shui Crystal balls are believed to protect the space from sha chi (negative energy). The ideal way to keep these balls is to hang them from ceiling either in the doorway or in windows. However, they can also be placed in sharp corners or beneath a ceiling fan or in study area. For best results, ensure to hang the feng shui crystal balls with red string or ribbon. Size of the crystal ball is very crucial. In general, a 40mm or larger crystal balls are used for larger rooms while a 30mm is preferred for smaller rooms or under ceiling fans or bed and desk. Use 20mm crystals for the interior of your cars. Lead Crystal Sphere: These gorgeous crystals are believed to bring good luck and fortune to the space. They activate the chi and enhance the balances of the yang as well. Hematite: Believed to have both protective and healing qualities, a hematite usually brings balance and grounding effects to the space provided. It is best to keep them in the children's room especially if your child gets over excited easily. By principles of feng shui, the main door is the 'mouth of chi' through which energy enters the building. Few characteristics attributed to feng shui doors are solid, glass paneling with muslin or similar clothes on it, inward opening of the front doors, larger front doors and smaller back doors, and identical doors in case of 2 panel sections. Direction of front door is of vital importance in feng shui since it indicates the type of energy prevalent at home. For instance, a north-facing front door indicates the presence of ba gua in the home or building. In other words, a person with a north-facing front door is bound to have career related issues and experience difficulties in sustaining long-term relationship. The element and colors of the door also play a crucial role in feng shui. Remember, the colors of your door should reflect the compass direction it faces. In other words, the alignment of the door should be in accordance with the five elements of feng shui or should balance the elemental properties of the energies of the sector where the door is placed. Listed below are few tips on feng shui doors, its directions, and color. First Published Date: 16 Jul 2009 Last modified Date: April 23 2019 This page may have been updated recently as new information is available or the content may have been edited for better readability.